For the last year or so, I have been shooting with Carbon Express Maxima Bluestreaks with 2″ Blazer fletchings. I have realized something last night when I put in a 3D version of Journey to the Center of the Earth, with Brendan Fraser. Yeah, I know, it wasn’t the best movie he’s made… but it was there and I enjoyed looking at Anita Briem. 3D movies at home and at theatres aren’t made for people like me, who wear glasses. The problem isn’t with the movies itself, but at the theatres, they had you these paper/plastic glasses, either with coloured gels or a type of polarized plastic that makes the movie 3D. When I went to see Avatar in 3D, I had to wear these glasses over my regular seeing glasses. I had too, in order to see the movie. This is very uncomfortable, not to mention, it takes a lot of adjusting, in order to wear them properly to see the movie. Also, the constant, re-adjustment of them, well, you probably won’t notice in the dark, but later you may, I don’t care what they say, those plastic lens may scratch up you own glasses lenses. You paid hundreds of dollars for your glasses, are you going to risk scratching up your lenses with these RealD3D glasses? Why can’t they make the frames bigger for those that do wear glasses. Especially, since I wear a wide frame (Oakley Chop Top 6.0). I guess there is a work around, that you can wear contacts, but you’d just can’t buy one pair of contacts just to go to the movies. Sure you can buy a year’s supply of disposables and only wear them to the movies, but that’s not really financially feasible to most of us. A year’s supply of Acuvue Oasis contacts (and this is without astigmatism correction), cost me about $350 CDN and they do have an expiry date on them. It’s a couple of years, but how often do you see a 3D movie in order to justify it. Most people have said on some forums that I read, that they don’t have problems and that the 3D glasses are designed to fit over top. I say, some yes, the Real3D glasses did fit over, but they weren’t all that comfortable. I have had to adjust them a few times during the entire play of Avatar. 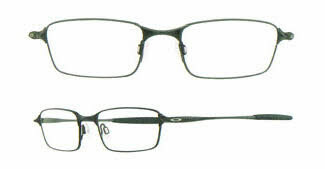 However, some didn’t mention it, but the glasses they did mention, were small enough frames to fit comfortably over top. So, what’s a near sighted person to do? Don’t fret, I’ve found a place, with the help of the ever powerful INTERNET. You can order clip on’s. Yep, clip on’s. Yeah, you may look like a doofus, but you’ll be able to see the movie and let’s face it. People in ‘dark’ theatres don’t care. They won’t be looking at you. The Rainbow Symphony Store carries three types of clip on’s: Polarized (circular and linear), Red & Blue and Magenta and Green. You’ll want to check, somehow, on which one your local venue is using. Now, I’m not plugging for them (unless they send me some free 3D clip on’s and glasses), I’m just giving you an alternative to having put in contacts or wearing 3D Glasses over your regular glasses. You can find another place online probably, but this is the first one that popped up. Having said this, these will not work on your new Sony 3D home theatre system. Those have been designed with a special kind of glasses. These glasses use a shutter mechanism (yes, they run on a battery that you have to replace) and they will only work on the Sony plasma television. They will not work on the Samsung system or vice versa. I haven’t researched how these work, but they seem to only work on flat screens at the 240hz range. NVidia has come out with a system that will work with you home computer system, but you need the Samsung monitor that runs at 240hz. These glasses are NOT cheap. The Samsung ones will run you at least $250 a pair. The Sony’s will run about $150 a pair. By the way, you will need a 3D enhanced system with 3D enhanced Blu-Ray player. I have been to FutureShop where a co-worker of mine got a job with Sony and was showing off the new 3D tv’s. Yep… as I thought, they won’t fit over my regular glasses. So, either contacts or the system is totally useless to me. That’s it for my rant this time. Check back later has I will be blogging about my day at the Glengarry Highland Games in Maxville, ON (July 30th and July 31st weekend).